Space News – Airbus has signed up to be the first commercial customer to use Europe’s future Vega C rocket, ordering two launchers to orbit a four-satellite Earth-observation constellation. 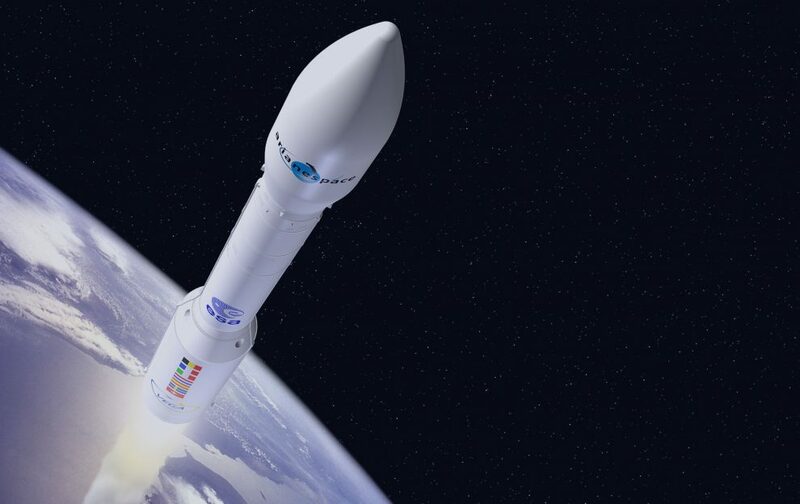 Arianespace, the Evry, France-based company responsible for marketing the existing Ariane 5, Soyuz and Vega rockets, as well as the future Vega C and Ariane 6, announced June 20 that the Airbus missions would take place in mid-2020. The Airbus mission does not constitute Vega C’s first flight, which is scheduled for 2019. Vega C is an upgraded version of the current Vega rocket from Italian manufacturer Avio, capable of launching about 50 percent more mass to a 700-kilometer polar orbit. “We fully trust Arianespace to orbit our new constellation, which will bolster our service offering and expand our range of services,” François Lombard, head of Airbus Defence and Space’s Intelligence Business Cluster, said in a June 20 statement. Airbus revealed in September that it was self-financing a constellation of four sub-meter resolution Earth-observation satellites to succeed the two Pleiades satellites currently in orbit. Those satellites will be able to revisit sites for observation several times a day. Meanwhile, Avio recently completed the carbon-fiber casing for the P120C solid rocket motor it is developing to serve as the first stage of Vega C and as a strap-on booster for Ariane 6. Avio CEO Giulio Ranzo told SpaceNews by email June 19 that the company tested the empty case at its new plant in Colleferro near Rome last week. The case will be shipped in July to French Guiana where it will be cast with inactive propellant in September. “The second case will be produce shortly and this one will be cast with real propellant and test fired in March 2018,” he said.